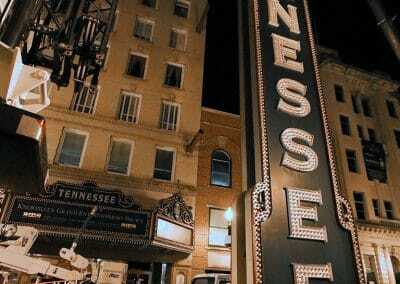 Located in downtown Knoxville, The Tennessee Theatre is the region’s leading performing arts center. 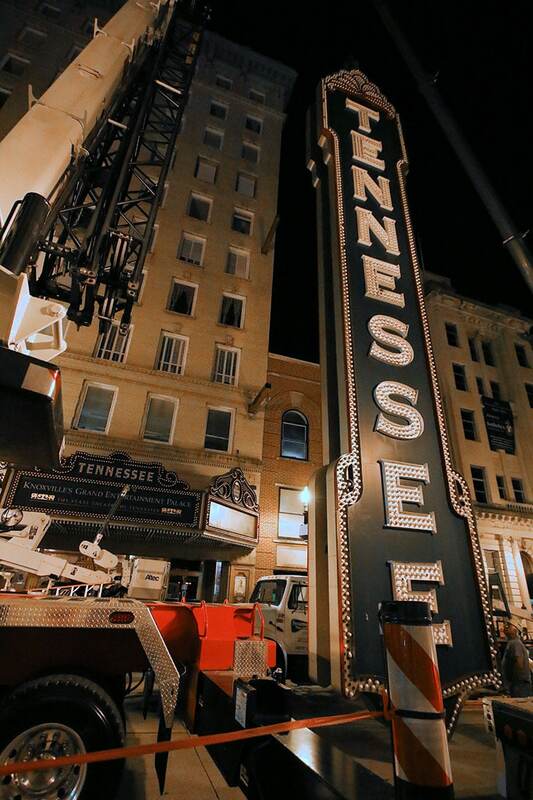 In June 2016, Pattison Sign Group partnered with the Tennessee Theatre to refurbish their marquee and vertical sign. 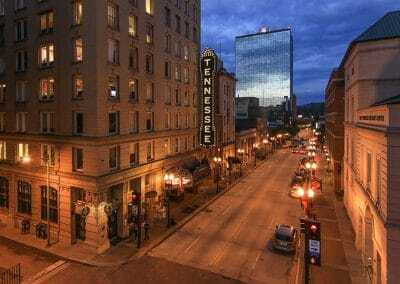 Located in downtown Knoxville, The Tennessee Theatre is the region’s leading performing arts center. 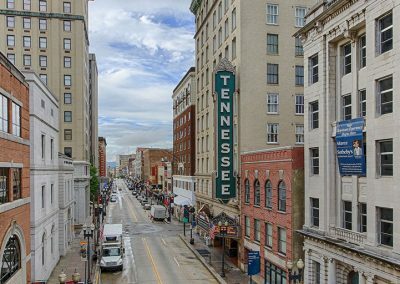 In June 2016, Pattison Sign Group partnered with the Tennessee Theatre to refurbish their marquee and vertical sign. The project was funded by private donations, community fundraisers, grants and corporate donations. The vertical sign was removed and shipped to our Heath Springs, South Carolina manufacturing plant for refurbishment. 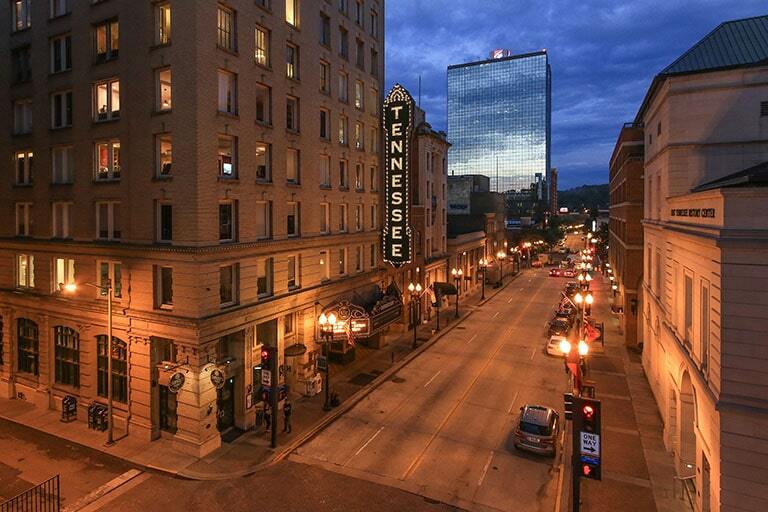 The sign was repainted, cosmetic damages were repaired, electrical upgrades were installed and 3,300 light bulbs were replaced with energy-efficient LED lighting. 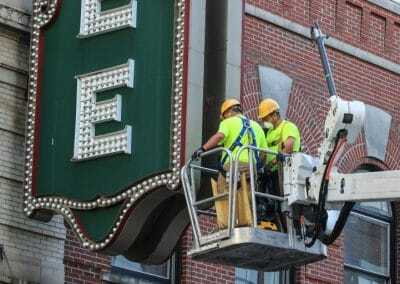 The theatre’s marquee also underwent refurbishment. 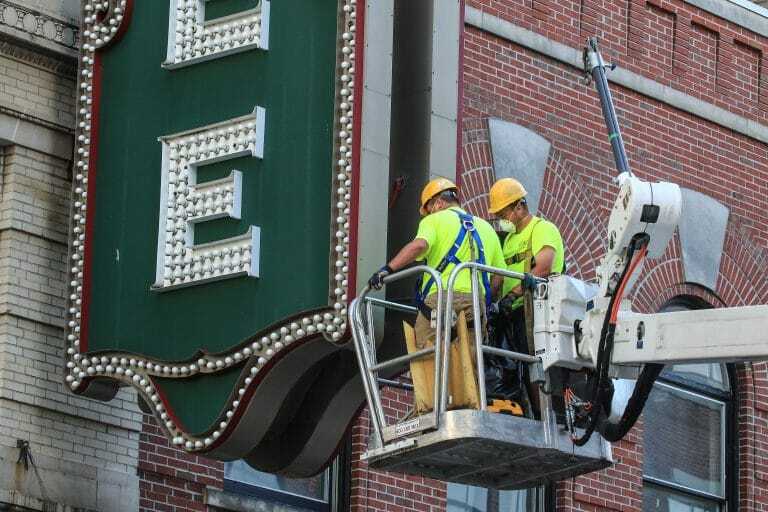 Repairs were made to any physical damage, the message boards were upgraded and 2,400 light bulbs were replaced and upgraded. 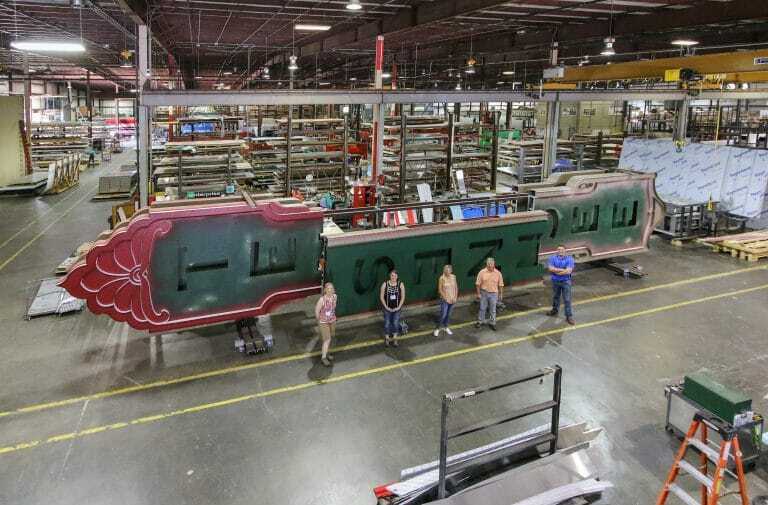 After two months of restoration a relighting ceremony was held Aug 31, 2016. 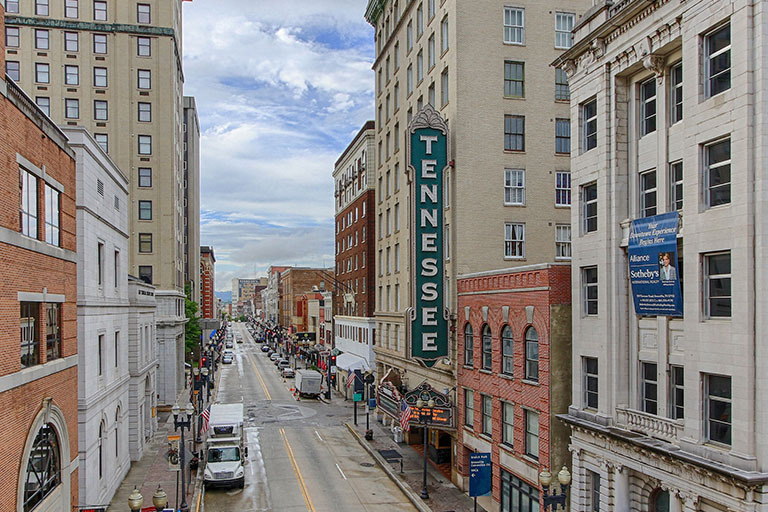 Knoxville Mayor Madeline Rogero was joined by elected officials, Tennessee Theatre board members and representatives from Pattison Sign Group to celebrate the return of the brighter, more energy efficient theatre sign.